Though both countries have become allies at this time to fight North Korea, Japan may never forget the Hiroshima and the Nagasaki atomic bombings that destroyed thousands of lives, cities and ruined their natural environment. More than 70 decades ago, precisely in 1945, the United States dropped nuclear weapons on the Japanese cities of Hiroshima and Nagasaki on August 6 and 9 respectively. Marking the 72 years anniversary of the tragic incidence, Japanese Prime Minister, Shinzo Abe has called for “a world free of nuclear weapons”. He also pledged commitment towards world peace. The event took place at Peace Memorial Park, near Hiroshima’s ground zero. A report says the event which held on the 6th on August was attended by 50,000 people and representatives from 80 nations and the EU. The world war ended a few days after the Hiroshima and Nagasaki attack. It was also seen as part of the Pacific war which Japan literally started. By the end of 1941, Japan pervaded Thailand and attacked the United States military bases in Hawaii, Wake Island, Guam and the Philippines. Coupled with their refusal to surrender to the Potsdam Declaration demands, US retaliated with the atomic bombs. It was after this that Japan surrendered. The bombs detonated about 1,900 feet (600 metres) above the ground. A report says that about 70, 000 people were instantly killed while thousands more died from the after-effects of the radiation. Tokyo, Japan’s capital only caught wind of the attack about 3 hours later. Jointly the 2 bombs claimed a current estimate of 200, 000 lives with over 60,000 buildings destroyed. For the Hiroshima attack on August 6, 1945, the atomic bomb made of Uranium was used. It is referred to as the “Little boy” and weighed 4 tons Energy, equivalent to 12.5 kilotons of TNT. The Blast was detonated 1,900 feet above Hiroshima, Japan; over 5.4 million degrees Fahrenheit. A fireball formed in 0.1 millisecond, with a temperature of 540,000 degrees Fahrenheit. The top of the atomic cloud reached an altitude of 17,000 meters. Radioactive debris was deposited by “black rain” that fell heavily for over an hour over a wide area. A bronze Buddha statue near the site was melted by heat from the bomb. While bronze melts at around 1700 degrees F, the temperature on the ground beneath the exploding bomb reached about 7000 degrees. 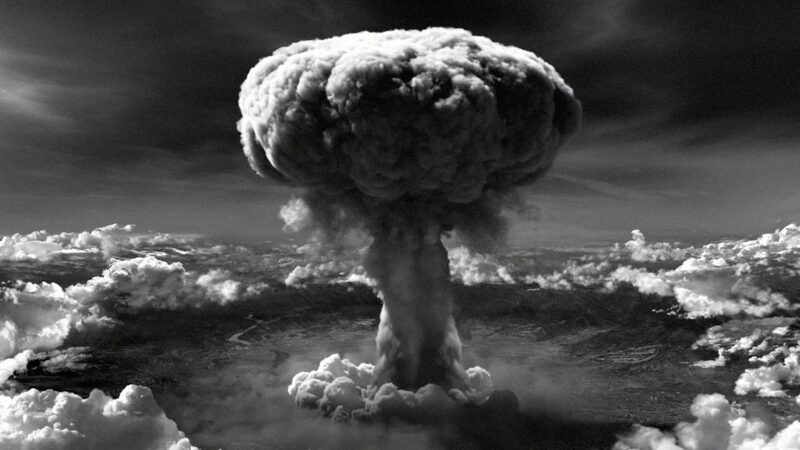 Three days later another atomic bomb was unleashed on Nagasaki on August 9, 1945. 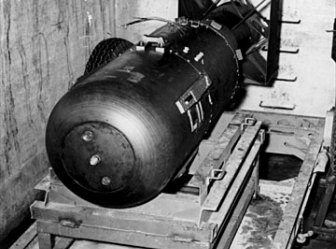 This was considered more powerful than Little boy, thus called the “Fat Man.” It weighed 5 tons Energy, equivalent to 20 kilotons of TNT. Four months after the attacks, 90, 000 – 146, 000 people in Hiroshima and 39, 000 – 80, 000 in Nagasaki died from the dangerous chemical effects. Subsequently, there were increased cases of mental retardation, cancers, keloids, genetic mutations, health complications and all forms of disability. The bombings effectively forced Japan to surrender. After the war, the U.S. occupied Japan and helped it rebuild. While there were survivors of the separate attacks, only one man was said to have survived both bombings. Tsutomu Yamaguchi narrowly escaped the Hiroshima blasting just two miles away from each blast. In search of refuge he fled to Nagasaki where he witnessed the next attack. Yamaguchi died of stomach cancer in 2010 and regarded as the luckiest man to ever lived. 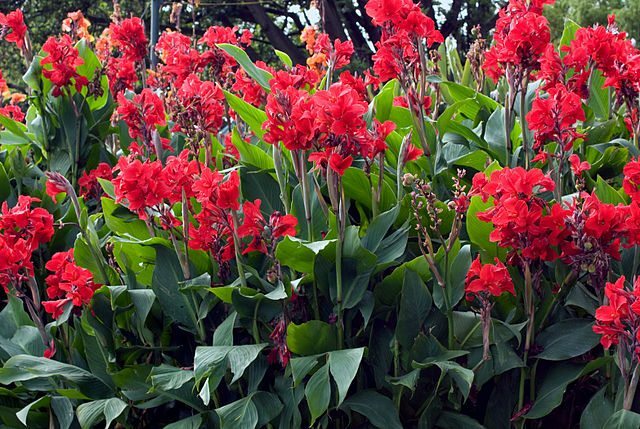 After the Mushroom cloud, came the red canna flowers. The effect of the bombings were so grave that no one expected plants to grow in Hiroshima at the time. After a while came the red canna flowers in the midst of the destruction. This gave the people hope for the future. With the war of words and provocative acts, the world fears that the slightest violent move from either North Korea or the US may repeat the Hiroshima & Nagasaki tragedy. Ever since the 73-year-old attack, the U.S. has reportedly built 4,680 nuclear bombers.